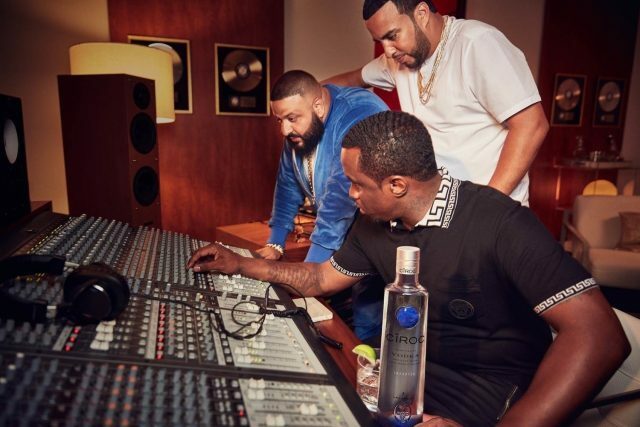 Sean “Diddy” Combs has teamed up with rapper French Montana on a new “motivational” campaign for Ciroc vodka that he hopes will inspire the next generation of entrepreneurs. Intended to embody the “spirit of the hustle”, Ciroc’s “Let’s Get It” campaign will launch with a two minute video on billboard.com starring Diddy, French Montana (the ex of Khloe Kardashian) and DJ Khaled. Describing the campaign as “motivational”, the trio hope that it will not only promote Ciroc vodka, but spark a movement to “empower and encourage entrepreneurs and creators to pursue their passions and realize their dreams”. Since 2007 Sean “Diddy” Combs has handled the marketing and promotion for Ciroc in the United States having signed an “equal-share venture”, reported to have been worth $100 million at the time, with the proceeds from the label being split between Combs and Diageo. Fully established in the world of spirits, in 2013 Diddy founded his own Combs Wine & Spirits, and in 2014 jointly acquired De Leon Tequila with Diageo. The ‘Let’s Get It’ video is narrated by Combs and directed by Emmy Award winner Zach Heinzerling, and tells the story of Combs’ rise from obscurity to hip hop superstar, music mogul and entrepreneur. The video also highlights the successes of other rising entrepreneurs including Vogue Fashion Fund-nominated designer Chris Stamp, accessory designers and DJs Coco and Breezy, jewellery designer and beauty entrepreneur Kristen Crawley, and New York Harlem dancer Nikko. The video (below) will begin airing on 5 September with 30 and 15 second spots running on channels including CNN, Bravo, CNBC, USA, BET, VH1, TV1 and REVOLT. The brand will release a follow-up spot later this month that will focus on the career of DJ Khaled.